According to the Nursing Home Abuse Center, an organization that monitors elder care, the most common types of elder abuse in nursing facilities includes medical neglect, neglect of basic needs, neglect of personal hygiene, and social or emotional neglect. 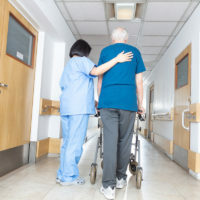 Neglect can happen in many different types of facilities – a nursing home, a convalescent home, a rest home, a rehabilitation or elder care facility. If you have a loved one in a facility who has suffered neglect, the facility can be held legally responsible — meaning that a personal injury or medical malpractice lawsuit can be filed. At Ramey & Hailey Law, our mission is to help our clients through this difficult process, help them attain the compensation they deserve, and – perhaps most important – ensure that the nursing home neglect suffered is not repeated on other innocent victims.